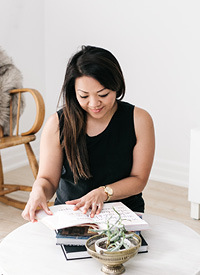 Thrifted Thursday with Brooke Bundy of Inside-Out Design — Love On Sunday Love On Sunday | Interior Styling in Toronto and the GTA. It's Thrifted Thursday! 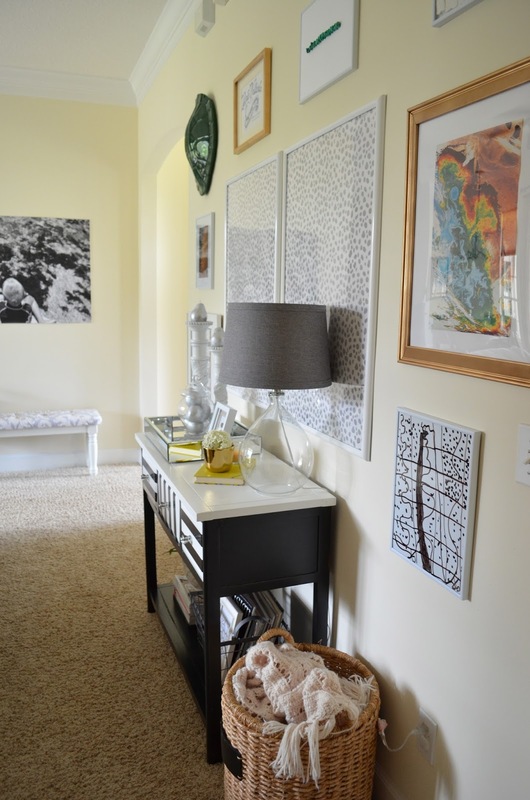 Today I'm super excited to share a cool thrifty find from Brooke Bundy of Inside-Out Design. I tore it out of a National Geographic magazine that I bought for ten cents at my local library. The magazine was in a "last chance" stack of For Sale items bound for the recycling if they didn't get purchased. So I guess the real thrifted item is the magazine- the art I got from it was a happy bi-product! What drew me to the magazine was it's cheap price and all the gorgeous images inside that I knew I'd be able to find uses for in my home. 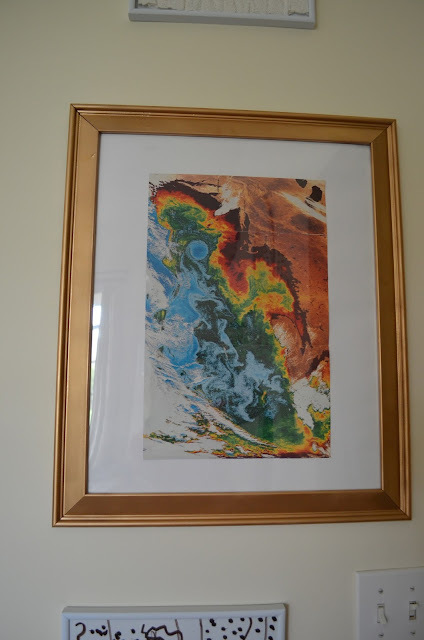 What drew me to the particular photograph that I ended up framing was first of all that it's an image of the ocean- I have lived near the ocean most of my life and I love it- and secondly all the beautiful colors. It took up a page and a half of the magazine so I used scissors and a really sharp knife to get it out without ripping it. Then I had to tape the two pieces of the picture together to make it whole. If you get up close you can see the line where the two parts come together, but it doesn't bother me- I kind of like that it makes it obvious that it's not just a typical art print. This photograph looks like it's from somewhere. Plus it came out of a magazine from the early 80's- it's a little old, so I'm fine with it looking old. I framed it and hung it in my living room. 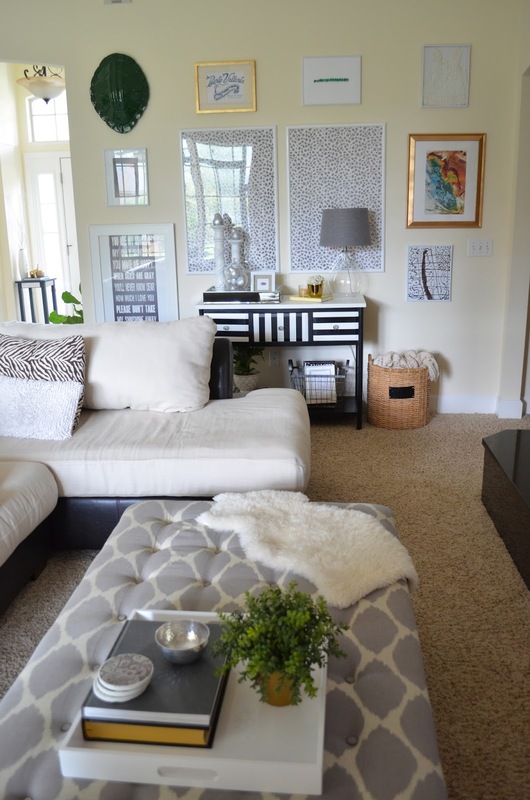 My house is pretty neutral so I LOVE that this art gives it such a nice dose of color. I feel like it wakes up the whole room! Thanks so much for sharing, Brooke! I LOVE National Geographic mags. Their photos are always so gorgeous. This is such a cost-effective and creative way to add some colour to any space. You can check out more of Brooke's fabulous finds and DIY's here. Happy 4th of July to all my friends south of the border!